Pokemon Go represents a bold change of pace for Nintendo. The company is essentially hands-off with this mobile augmented reality spin-off of the portable role-playing games, leaving it up to Ingress developer Niantic to bring the property to a new platform while rethinking its core mechanics of catching and battling cute critters. While there’s initially something quite magical about the experience, bringing to life the childhood fantasy of being a Pokemon trainer in a way that has not been done before, what is magic soon becomes laborious. 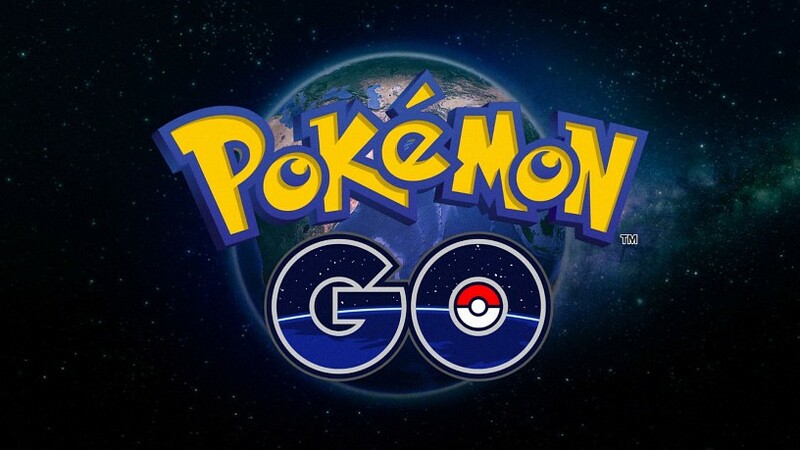 The key technological factor that separates Pokemon Go from other games in the series is the use of both location data and basic augmented reality. Pokemon Go’s game world isn’t a made-up region like Kanto or Johto, but the Google Maps data of your neighbourhood. Almost every aspect of the game requires moving around to trigger or advance. Wild Pokemon will appear while going for a walk; eggs will incubate with every kilometre you travel; landmarks visited on the map will refill items like Pokeballs and potions. 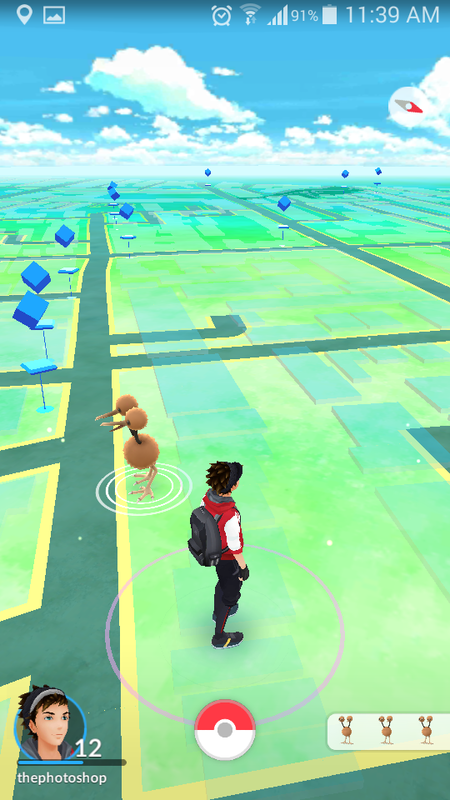 When you do encounter a wild Pokemon, it appears on the map near your avatar. Tapping it will zoom into something akin to the prior games’ battle screens, but the background is formed through your phone’s camera, and the Pokemon remains roughly position-tracked within that space. You then throw a Pokeball by swiping in an arc toward the Pokemon to catch it. "If you walk in grassy areas, like fields or parks, your encounter rate changes. Water Pokemon are more likely to be found at the water’s edge." Though these uses of the phone’s GPS and camera are basic - and occasionally glitchy and inaccurate – they combine to create an effective facsimile of the sense of exploration and adventure from the mainline Pokemon series. The novelty of encountering Pokemon as you walk down familiar streets remains strong with the approximation of other mechanics from prior games. If you walk in grassy areas, like fields or parks, your encounter rate changes. Water Pokemon are more likely to be found at the water’s edge. Nocturnal Pokemon can be encountered at night. And, if you see bushes rustling, it’s a clue that there’s probably something to find there. However, the manner in which individual Pokemon are distributed across locations can vary from accidentally perfect (I found a Goldeen at the fish markets) to random or downright illogical (I also found a Goldeen in the middle of some city streets). The perfect version of Pokemon Go isn’t just one that has its players getting outside and active; it’s one that has them sharing information and discoveries with one another about where specific Pokemon can be found. However, their appearances aren’t reliable enough that you can definitively say any specific Pokemon can be found at any specific place. Though this broadly works for a few different types of irritatingly common Pokemon (you’ll see mostly Zubats in the city, and Doduos in the suburbs) it feels too undefined for there to be much need to share knowledge in the first place. Instead, that knowledge sharing comes in the form of figuring out basic mechanics – something that simply doesn’t feel in the spirit of Pokemon at all. 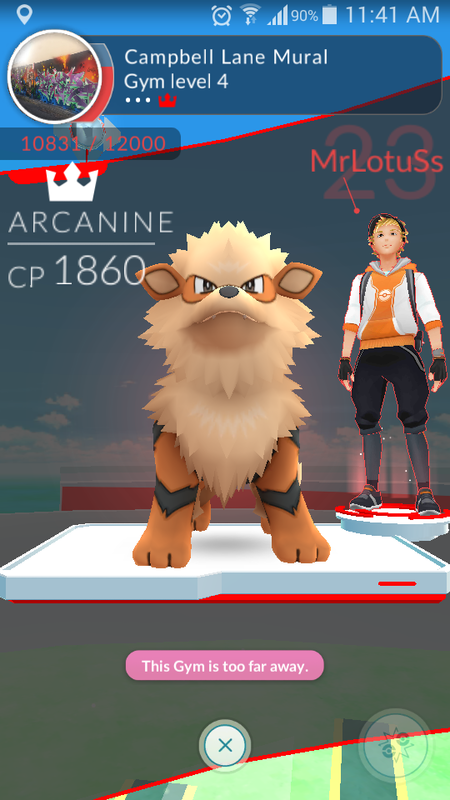 How do you attack in a Gym battle? 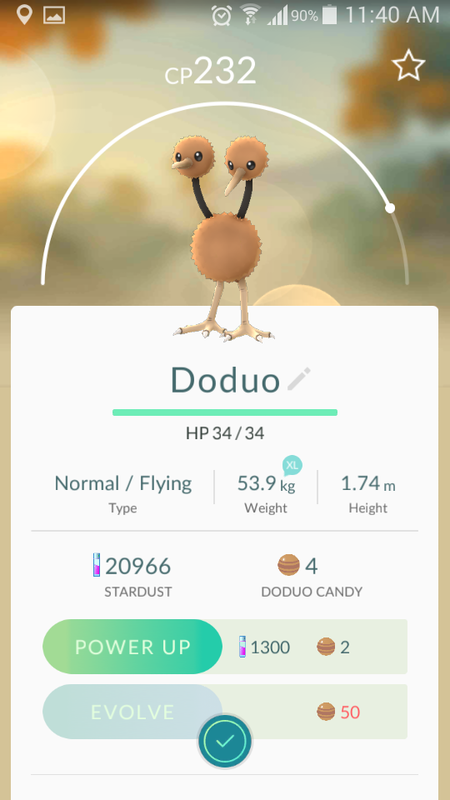 What does the shrinking circle around Pokemon mean when you’re trying to catch them? What changes when my trainer levels up? So few aspects of Pokemon Go are explained by the game itself that you’ll rely on external help or word of mouth just to figure out whether you’re even playing the game properly. "Knowledge sharing comes in the form of figuring out basic mechanics"
And there is a “proper” – or rather, most efficient – way to play. As fun as exploring and catching Pokemon is, what you do with them afterward quickly becomes dull and tedious. Pokemon Go lacks one of the most significant systems from the portable series: battling with wild Pokemon or other Pokemon trainers to earn experience. In its place is a dual-currency system of Stardust and Candies, both of which are earned when catching any Pokemon. However, Candies are unique to each evolutionary group of Pokemon – for example, a Squirtle, Wartortle, and Blastoise can all eat Squirtle Candy. Candies can be fed to a Pokemon so they “power up”, increasing their hit points and overall combat effectiveness. Alternatively, you can save up a significant number of Candies and feed them all to a Pokemon to evolve them to their next evolutionary stage. Evolving a Pokemon confers far more stat benefits than repeated, and relatively more expensive, power ups. What this amounts to is a sense that the most efficient way to play results in you not so much training individual Pokemon and forming attachments to them, but rather viewing them all as potential currency. 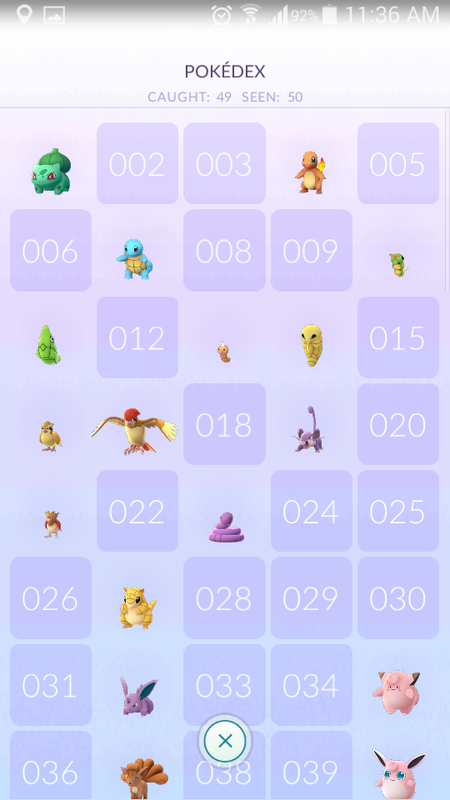 Because you earn Pokemon-specific candies for every Pokemon you catch, you will end up having to catch twenty, fifty, sometimes four hundred of the same Pokemon just for the candies they confer – not because they may have unique stats, special moves, or desired abilities. I understand the reasoning behind this – it provides motivation to keep catching the same Pokemon, which will keep appearing in the same areas you’re likely to visit. But a similar goal could have been achieved were we able to use our caught Pokemon to battle those wild encounters for the equivalent experience and currency instead. 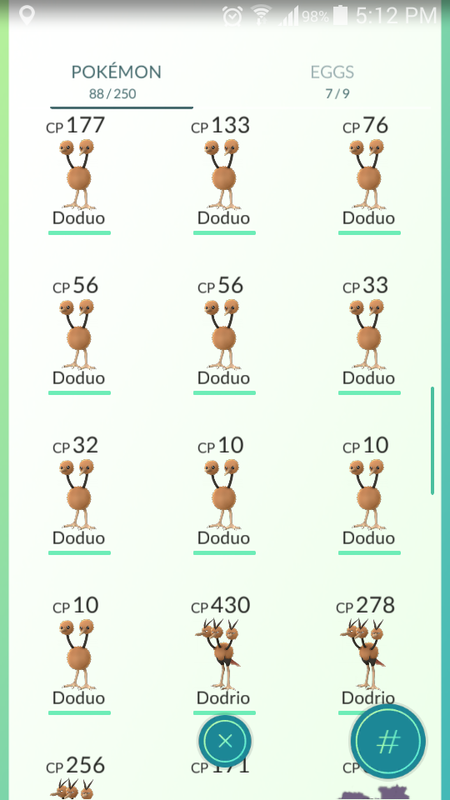 The worst side effect of this is that you’ll spend just as much time wrestling with Pokemon Go’s clunky menu, transferring away all the duplicate Pokemon you now have, as you will spend walking around and encountering them. "The high visibility of Gyms, and the Pokemon within, makes being the owner of one initially a cool thing to aspire to"
Though you can’t battle wild Pokemon and trainers, battling does exist in Pokemon Go in the form of Gym battles. These are not the “boss encounters” you might be familiar with from the portable games, but rather key locations found throughout the world in which a powerful Pokemon can be deposited. Other trainers nearby can than challenge the Pokemon left in that location, with the chance to kick it out and put their own Pokemon in its place, thereby “taking over” the Gym. The high visibility of these Gyms, and the Pokemon within, makes being the owner of one initially a cool thing to aspire to. But the actual battle system that determines a winner is so horribly implemented that I’ve given up even trying to engage with the Gym system at all. Unlike the portable games which featured turn-based battles that rewarded foreknowledge of type matchups and ability effects, Pokemon Go’s battles take place in real-time. Each Pokemon has two moves – one activated by tapping the screen, and another, stronger one by pressing and holding. Though type matchups do play a part, the haphazard pace and unreadable animations turn Gym battles into an affair where you must simply mash the screen as fast as possible, and hope that you come out on top. Server issues compound what is already a shallow system with poor response times, strange bugs that leave enemies on one hit point, and rendering the ability to dodge attacks by swiping left or right near-useless as lag makes timing impossible. It baffles me that a turn-based system was not used, especially one that could account for the poor connectivity of a mobile phone. It’s not just connectivity which gets in the way, but battery life, too. Pokemon Go will consume a 100% battery charge in anywhere between 30 to 45 minutes. This is partly due to the fact that it does not run while in the background; in order to encounter Pokemon – or even to incubate eggs – the application needs to be opening and focused on the phone at all times. Why it can’t send me a push notification when a Pokemon is nearby is beyond me, but it would result in me engaging with the game far more than I currently do – which is on dedicated walks where I know running out of battery won’t be a problem. Plus, the application is incredibly unstable, with repeated hard crashes and instances where it no longer responds to input resulting in multiple restarts per play session. Pokemon Go isn’t trading on solid game design; it’s trading heavily on nostalgia. That’s why it has launched with only the original 151 Pokemon from the 1996 games, and it’s why 99% of the people in the street I see playing are in their twenties or older – not the younger kids the property is actually aimed at. But the game can’t get by on nostalgia alone; once the novelty of seeing the Pokemon you recognise fades, there needs to be a more robust game beneath it all. You can’t even trade Pokemon with each other - though it's nice that Pokemon encounters are server-side, so you can walk with a friend and find them together. "Pokemon Go isn’t trading on solid game design; it’s trading heavily on nostalgia." Still, the fantasy of Pokemon shouldn’t just be one of wandering around and catching critters, but of developing individual attachments, training, nurturing, and wondering what those creatures might turn into or be capable of with enough attention. But Nintendo notoriously guards against the use of the Game Boy Pokemon formula in anything other games on portable Nintendo systems – not even the GameCube Pokemon games were permitted a similar kind of role-playing depth. 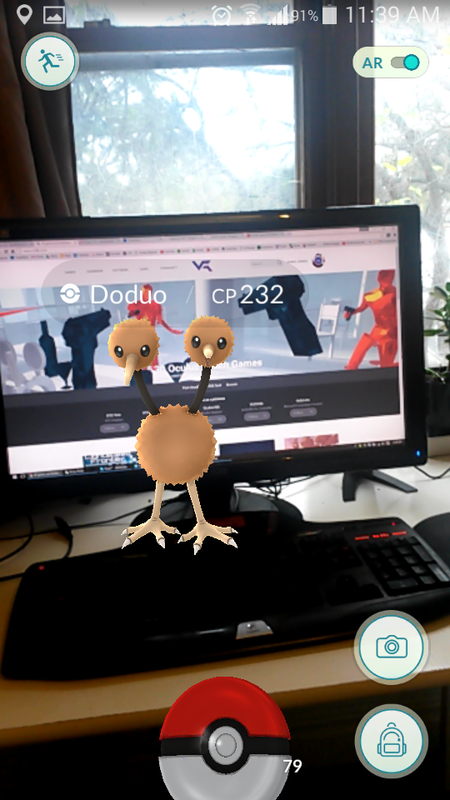 Pokemon Go didn’t need to perfectly adhere to that formula, but it needed to bring in something – anything – more than it currently has, for what’s left is an enticing yet shallow surface of what an augmented reality Pokemon game could be. The stats of this game are mindbending. Didn't the developers say yesterday they were struggling to keep things up as 37million people were trying to login at the same time. I cannot wrap my head around that! How i wish this game would be available on Philippines as soon as possible. I wonder why other people here posting some pics that they already playing this games but when i search on the internet it says still no available on Philippines. Any thoughts? I might try rooting my (One Click Root) phone also and cause a friend of my saying i need to root first my phone. Also hear from this software the their having some new features to play this with some joysticks.